Hear ye! Yearning for Wonderland proudly announces their very first writing contest. Ever. I know it’s what you’ve all been waiting for. Please calm yourself. No tears of joy, please. By this point, you might be saying, get on with it! Shhh, I am savoring…okay, here are the details. This contest is in honor of The Fairy Ring (you know you want to read it! Or gift it to someone who believes in true magic in the world). For those of you who have not yet read my review of Mary Losure’s The Fairy Ring (Candlewick Press, 2012), please do so to know how amazing this prize is. I know several of my readers have expressed interest in the book – now is your chance to win it for free! Galleys have graciously been provided by the beauteous Raquel Matos of Candlewick Press. I will announce the winners by February 22nd. I cannot wait to see all the magnificent permutations of fae encounters that your creative minds will unleash. Let the games begin! * The winner of the contest will have their link shared on the Google+ page of Candlewick Press, woot! * The title does not count in the 300 word limit. * In the spirit of the contest and the book, please no erotica or slasher horror. I love dark fairytales, but give us goosebumps not buckets of blood. * Please visit all of the entries and comment – writers love feedback! * WordPress blogs need different HTML – email me at annabbps at gmail.com if you want me to send you the alt. code. * If you do not have a blog and would like to enter, send me your entry to the above email and I will post it on Yearning for Wonderland. To the 19th century mind, the camera captured truth. You placed an object in front of it, clicked the button, and it created an indelible record of reality…or so it seemed. 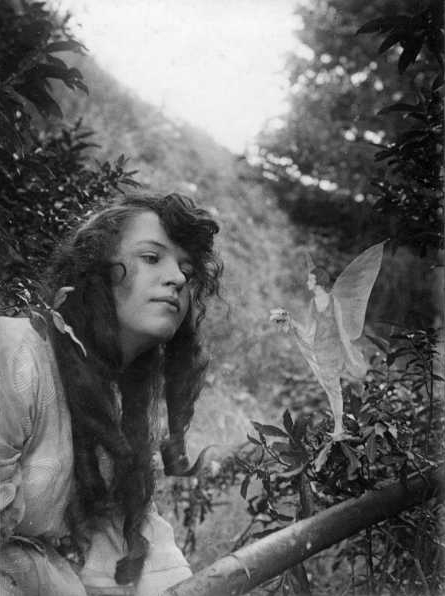 Yet in 1917, two young girls produced photographs which claimed to document fairies. If you are curious, click here to see the photos and find out more about the Cottingley fairies. 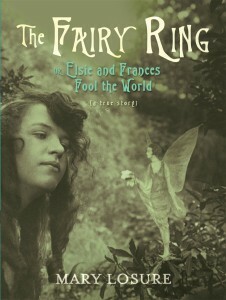 The Fairy Ring by Mary Losure tells the well-known story from the girls’ point of view, first from the perspective of Frances on her arrival in England (Part I), then from the perspective of Elsie (Part II) and then the story intersects to weave the tale of both girls and how their own personal fairytales ended. Losure consults primary sources like previously undisclosed personal letters to build her narrative. 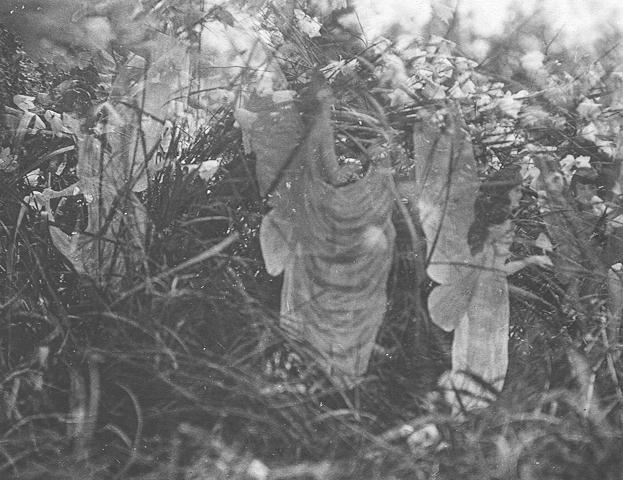 In an era where Photoshop makes edits invisible, the story of the Cottingley fairies holds great fascination. 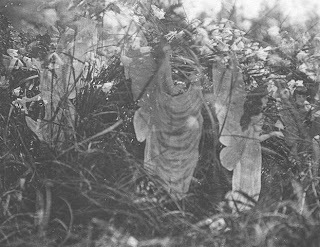 To our sophisticated 21stcentury eyes, the series of fairy photographs is obviously faked, yet the girls persuaded one of the great minds of the 19th century, Sir Arthur Conan Doyle. Conan Doyle, who wrote one of the most skeptical anti-heroes of all time, Sherlock Holmes, was infamous in his own lack of skepticism. He believed in mystics and communications with his dead son through séance. Conan Doyle published a public defense of the photographs in the noted The Strand magazine, much to embarrassment of the girls’ parents. The Fairy Ring has all kinds of engaging little details, like the fact that Frances was originally from Cape Town, South Africa. Or the fact that 15 year old Elsie was rather older than Frances, at nine. The language is delightful and reminds me strongly of Frances Hodgson Burnett – my favorite author who writes children’s books that are more than children’s books. It would be the perfect book to read aloud, as the prose has a charming freshness that lends itself to speaking. The book has excellent high-quality scans of the photographs, which in itself is a pleasure to those who love Edwardian photography. There is a lot of argument about the final photograph in the Cottingley series. Fairy enthusiasts point out how different it is from the others, which clearly contain paper cut-outs. Here is the photo. The flanking fairies look like paper, but the central creature has a magnificent translucence – what do you think? You should read this book if you love fairies and wish there was a touch more magic in the world. Pre-order The Fairy Ring; also available as an audio book. Candlewick Press, 2012. Thanks to @quellelove for the fantastic recommendation and ARC . All those rumors you heard are true. I did post over at Dasia’s amazing blog, Dasia Has a Blog. You can go read it here: Anna’s Guest Post on Dasia Has a Blog – Top Ten Torrid Moments in Period Film. Disclaimer: This guest post includes a great deal of blushing and self-fanning, as well as some of the most torrid moments in period film I could find. It was too saucy for this blog, which ranks it roughly at PG-13. I’m still missing my number 10, so head over there and share your favorite. Seriously. Because there’s only so many times I can watch some of these scenes over and over again before people start talking. WARNING: May cause quickened breathing and increased heart rate. Just saying. What if falling in love cost you your life? Would you be able to resist? The story opens in Edinburgh, in the late 1800s, during the greatest freeze the city has known. In this introduction, the cold and snow almost become a character on their own. You meet the protagonist, Jack, as a frail infant abandoned by his mother to the idiosyncratic and brilliant Dr. Madeleine. Jack is tortured by the continual presence of his clock heart, which ticks and whirrs and cuckoos at the least convenient moment. He is bullied and mocked at school and it embarrasses him in public. The cast of characters that surrounds Jack as he grows is colorful and eclectic, a peg-leg prostitute and a Scotsman with a musical spine, all overseen by the protective and loving Dr. Madeleine, who has adopted her boy with the cuckoo clock heart. The heart of the story is Jack’s doomed love for the coquettish, mercurial and short-sighted Miss Acacia, a street singer turned cabaret performer. For Jack, the perils of love are very real and shape all of his choices throughout the book. It’s not only love he has to control, but jealousy and anger ground through the gears of love, as his rival Big Joe vies for the hand of Miss Acacia. Jack later teams up with the famous film pioneer and illusionist Géorges Melies, who becomes enamored of his condition and its ramifications. The theme of illusions figures strongly, for nothing is quite as it seems in this little fable. Malzieu seamlessly integrates the elements of steampunk with literary fiction, allowing this novella to transcend the usually cursed designation of “genre fiction”. It should, for this is really literary steampunk and you need neither to be really very literary or steampunk to enjoy it. Melzieu’s prose has a dreamy, cinematic elegance, distinctly European. The pacing ticks along steadily – it is a quick read at 172 pages – and the action winds tighter and tighter until you cannot wait any longer for the denouement. The vivid characters stay with you long after you close this slim volume. There is a twist at the end, which cuts sharp as the second hand of a clock. 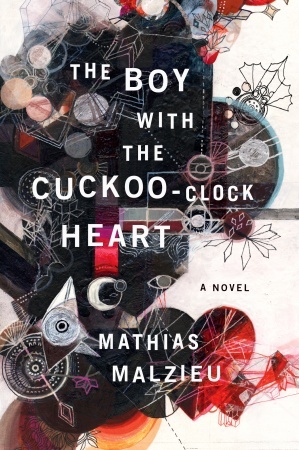 The Boy with the Cuckoo-Clock Heart has already been lauded as an adult fairytale, but it seems even more than that. The story concerns the lies we tell ourselves and others in our pursuit of love and our fear of love’s loss. It’s a magical journey that ends too soon, but makes the re-reading all too pleasurable. 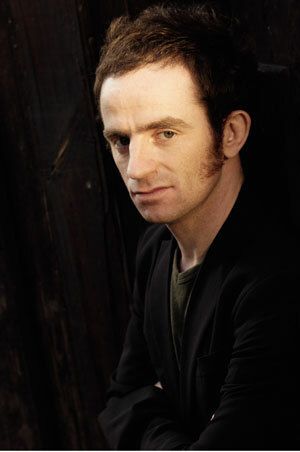 Mathias Melzieu is also known as the lead singer of the French band, Dionysos. I have included the peculiarly wonderful book trailer, set to the music of Dionysos. The book is currently in production to become a full-length animated film, La Mécanique du Coeur, directed by the author and Stéphane Berla. 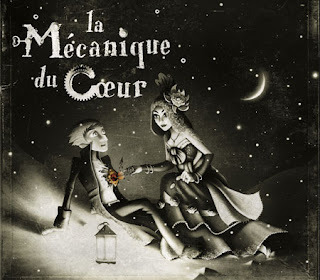 In short, Malzieu proves steampunk offers stories with a beating heart. Article first published as Book Review:The Boy with the Cuckoo-Clock Heart by Mathias Malzieu on Blogcritics. Article first published as DVD Review: The Thomas Hardy Collection on Blogcritics. To many people, the name Thomas Hardy will draw a blank, but he is quite well-known through the titles of his books: Far From the Madding Crowd, Tess of the D’Urbervilles, Jude the Obscure, and The Mayor of Casterbridge. Thomas Hardy wrote of 19th century rural England and the conflict that ensues when the poor bump up against the wealthy. The Thomas Hardy Collection is a two-disc DVD set, containing imaginings of two of Hardy’s greatest works, Tess of the D’Urbervilles (1998) and The Mayor of Casterbridge (2001). Of the two, it’s easier to love Tess as a protagonist. 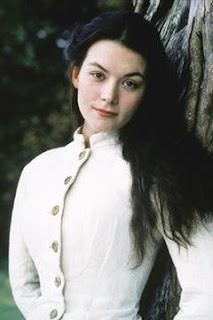 Justine Waddell is an inspired choice and believable as a period heroine, all billowy clouds of brown hair and pure pale skin. Her Tess evolves from glowy farm girl to hollow-cheeked beauty ground up by poverty and then finally to fae-like impulse child with nothing to lose. Arguably one of the most believably written women in the English language, Tess appeals to modern audience with her bold independence. The first time Tess leaves home, she tries to improve her family’s situation by approaching the wealthy D’Urberville family, to whom she mistakenly believes she is related. She staunchly refuses the advances of the master of the house, Alec D’Urberville (an excellent Jason Flemyng). There’s a charming sequence involving Tess trying to whistle at the songbirds, at the request of the eccentric Lady D’Urberville: “Mother won’t be happy with you unless you can whistle to her birds”, teases Alec, whistling before he kisses her on the cheek. She pulls away and he snappily retorts: “I taught you whistling, cuz, and one day I’ll teach you kissing.” As a Victorian tragedy, though, such repartee does not lead to happiness. Tess takes takes a job as a milkmaid, which offers a second sighting of her first love – Angel Clare (Oliver Milburn). This film version will introduce you to the unexpected romance of milking a cow, the sideways glance along the haunch. Symbolism of the natural world and its dangers abound: the sharpening of a scythe, the pricking of rose thorns. Watching love’s petals unfold for Angel is touching, but Tess has been compromised and happiness is all too brief. The ending of Tess of the D’Urbervilles is abrupt after such an epic travel, but oh, what a journey. Both books (as well as the movie adaptations) are set in the semi-fictional part of England known as Wessex, based on Hardy’s homeland of Dorchester.Tess of the D’Urbervilles features idyllic artistic visuals, from May Day dances to gloriously golden brown harvests, industrial age machines contrasted with peasants bent-back from scything. Contrasted with Tess’ indomitable resourcefulness is the character of Mike Henchard. Henchard is the eponymous Mayor of Casterbridge, a believably flawed man who is the sole disruptor of his own happiness. In The Mayor of Casterbridge, Henchard starts off as a drunken sot who sells off his wife and infant daughter for money to drink. This leads him to vow off alcohol for a period of 21 years and he manages to build himself a life of respectability as a prominent corn and grains merchant. 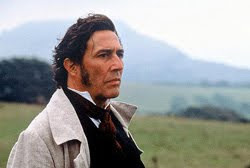 Henchard, played by the ever-astonishing Ciaran Hinds, is by turns unfaithful, fickle, cruel and unjust. A chance at redemption arrives in the appearance of his formerly-sold wife and their now-adult daughter. They are destitute and so move to Casterbridge where she poses as a widow and he “marries” her. He confides in his new manager, the confident and charming Farfrae (James Purefoy), of his past shame. Lucetta (Polly Walker), a wealthy widow loved and abandoned by Henchard, seizes her chance at happiness and marries Farfrae, who up till now had courted Henchard’s daughter. Henchard sees both of the women he loves being lost to Farfrae and jealousy blooms, leading him to a series of bad business and personal decisions. One consistent thread through the The Mayor of Casterbridge is the female characters’ anxiety about their public reputation and lack of control over their destiny; this is shown in moments like the suspenseful delicacy of opening a highly-anticipated letter. Lies are told, secrets are kept, and shame is hidden until publicly exposed. Henchard’s weaknesses lead to the loss of all he holds dear; the plot rivets your gaze, like a carriage crash in slow motion. This 2-DVD set is the perfect addition to any literary film buff’s library. Watching The Thomas Hardy Collection made me wish to go back and reread the books…and what greater gift can a literary movie adaptation give?